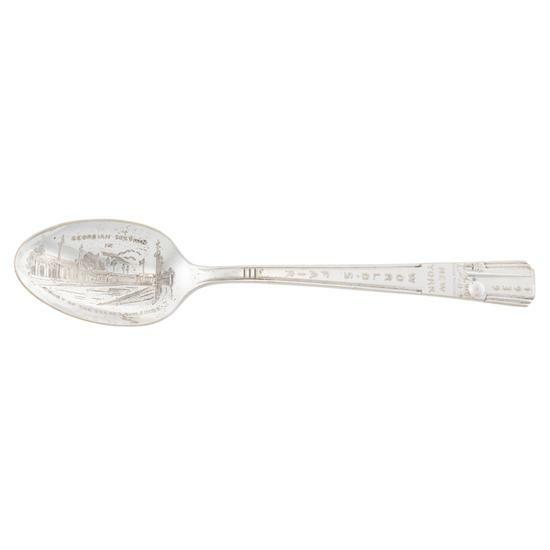 Silver-plated teaspoon decorated on handle obverse with Trylon and Perisphere, bowl depicts the 1939 New York World's Fair structure Georgian Section in Court of the States building. Mark: Die-struck on handle reverse "PAT. PEND. Wm ROGERS MFG CO" and "I S" in rectangles.